Proof-positive that luxury and practicality can pair for perfection, the two-level 2795 achieves both with a five-bedroom plan showcasing a top-floor master suite retreat and a main-level ensuite guest room. Starting at the contemporary entry, warm, stylish plank flooring welcomes guests through the intimate foyer past a large den with limitless potential. Step into an alcove leading to the ensuite, ideal for grandparents, nanny or out-of-town guests – or turn into the dynamic great room with dramatic floor to ceiling tile fireplace wall. Backlit by natural lighting from the outdoor living space, this entertainment epicenter flows seamlessly into the corner-set dining room and sophisticated kitchen. Chic Fisher & Paykel stainless steel appliances including professional six burner gas range, contemporary chimney hood vent, and integrated French door refrigerator anchor the contemporary kitchen. Quartz countertops dazzle atop the kitchen’s entertainment-ready island and complement the attractive full-height tile backsplash with warm under cabinet lighting. 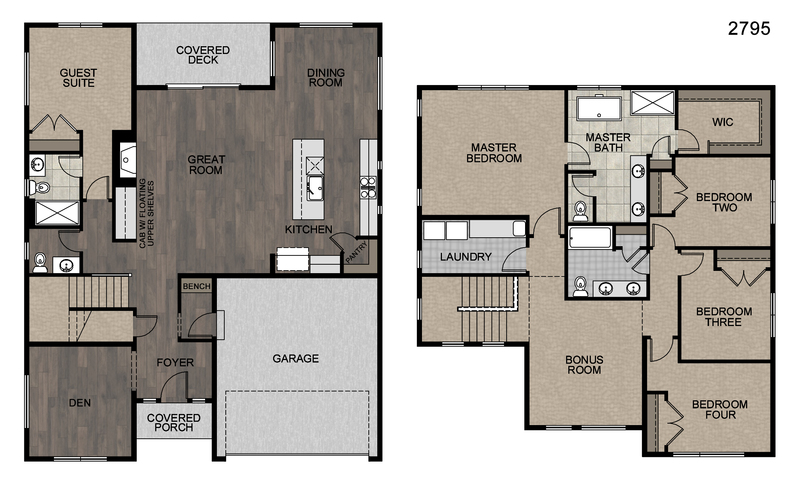 The upstairs bonus room is perfect for gathering outside three secondary bedrooms. Occupying half of the second floor, the master suite is a sanctuary with superb finishes: a tile-surround shower, dual-sink quartz vanity and soothing freestanding soaking tub. 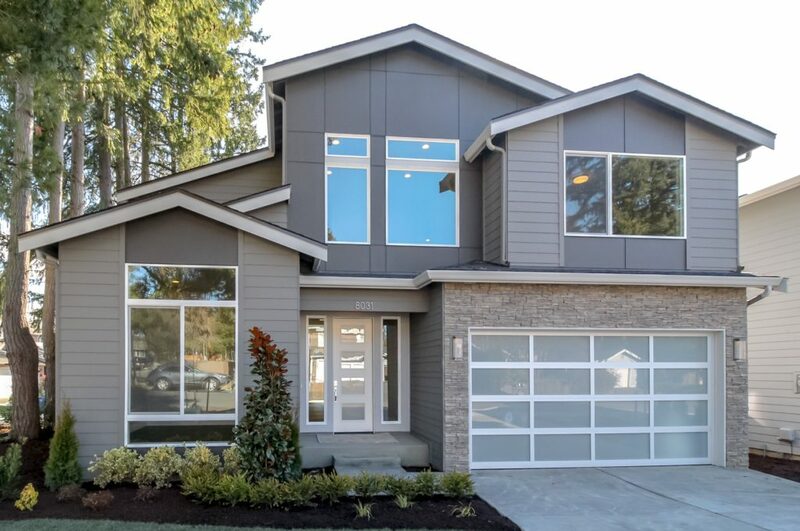 This home also features a large laundry room with custom cabinets and deep sink, front and back landscaping with full irrigation, gas BBQ stub on the back outdoor covered patio, and full heat pump installation. Come visit us and see all the amazing amenities we offer at Hultquist Homes!